Adam Holland was born in Jersey City in 1959. He attended Bard College in New York's Hudson valley. He works as a litigation technology consultant and writer. Adam has survived cancer, the 9/11 World Trade Center attack and growing up in New Jersey. He now lives, with his wife and five-year-old son, in Brooklyn's Bay Ridge neighbourhood, not far from where New York Harbor meets the Atlantic Ocean. He writes a blog at Adam Holland. Why do you blog? > I call myself a man-in-the-street blogger. I blog as a way to make sense of a sometimes insane world. When the extremist camel sticks its nose under the mainstream tent, I like to rap it with a rolled up newspaper. I frequently focus on issues relating to conspiracy theories, the far right, and anti-Semitism. I also write to counter unreasonable criticism of Israel and undiscriminating support of Israel's enemies. I do this with an eye to promoting liberal ideas and promoting good sense on the liberal left. I try to do all this without making too big a deal of my opinions, focusing as much as possible on facts and avoiding name-calling and blanket characterizations. I also like digging up dirt. What has been your best blogging experience? > I revealed that a neo-Nazi and KKK leader was on the ballot in Tennessee to be a Ron Paul delegate to the Republican convention in 2008. He had been using his role as a county campaign leader to recruit racists until I posted about it and the AP picked up the story. What has been your worst blogging experience? > I've received threats as the result of my writing about David Irving. I've also gotten an incredible volume of nuisance spam in reaction to stories about Ron Paul and a racist radio programme called 'Political Cesspool'. That's not terrible, but it does make reading my email and comments on the blog a drag, where it once was a pleasure. I have to carefully moderate every comment. I was also slandered recently by an anti-Zionist Jewish blogger, although some might say that's a badge of distinction. What would be your main blogging advice to a novice blogger? > Get a real job. What is your favourite movie? > 1) The Straight Story (David Lynch); 2) Garden of Scorpions (Oleg Kovalov); 3) Los Olvidados (Luis Buñuel). Who are your political heroes? > Franklin Roosevelt, Lincoln, Martin Luther King, Fiorello LaGuardia, David Ben Gurion. If you could effect one major policy change in the governing of your country, what would it be? > Universally available health care. What would you do with the UN? > The UN needs disinterested ethical and financial oversight. It needs to be refocused from promoting ideological agendas to meeting practical needs. It should establish an agency on the scale of the Security Council which would do nothing but subject the UN to scrutiny and provide a forum to critics the UN currently works to silence. The chance of this happening is nil. I take everything emanating from the UN with a grain of salt the size of Dag Hammarskjöld Plaza, especially as concerns Israel, which it has unreasonably singled out as the worst violator of human rights in the world. But the UN should continue to exist because the alternative is worse. They still do a great deal of good in the world in spite of everything. What do you consider to be the main threat to the future peace and security of the world? > 1) Nuclear weapons in the hands of terrorists or unstable regimes. No question. 2) Global economic destabilization should we experience a second crash on the scale of 2008's. Do you think the world (human civilization) has already passed its best point, or is that yet to come? > Who was it who said 'Western civilization is a wonderful thing. When will it begin?' (It might have been Gandhi.) Maybe we should ask that about world civilization. What commonly enjoyed activities do you regard as a waste of time? > Witch-burning, bear-baiting, and jousting. And watching television. What, if anything, do you worry about? > Everything. If you were to relive your life to this point, is there anything you'd do differently? > I would not order the Lobster Newburg before riding the roller-coaster. What would you call your autobiography? > Add to Shopping Cart. Who would play you in the movie about your life? > John Holmes is dead, so he's out. The celebrity I look most like is Hamid Karzai, but he's busy. Charlie Callas? What do you like doing in your spare time? > Play piano. Hike in the Catskills or Hudson Valley. Cook. Eat good Chinese or Indian food. Go to movies. All of the above with my son and wife. What is your most treasured possession? > A mezuzah from my grandparents' house. What talent would you most like to have? > I'd like to play jazz piano. What would be your ideal choice of alternative profession or job? > I'd like to tag flamingos with radio tracking devices. Who is your favourite comedian or humorist? > Lenny Bruce, Buddy Hackett, Mel Brooks, Richard Pryor, the Marx Brothers, Ritz Brothers, Smith Brothers, Dr Joyce Brothers. 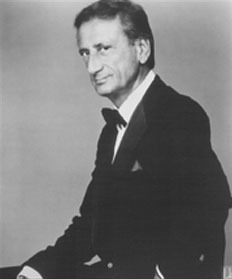 And Charlie Callas (see here and here). Who are your sporting heroes? > Walt Frazier, Willis Reed, Julius Erving, Willie Mays, Bill Russell. How, if at all, would you change your life were you suddenly to win or inherit an enormously large sum of money? > I could stop worrying about NYC housing and education costs. I could get a reasonably nice computer, made within the past 5 years, some great guitars and keyboards, and a house in the country. If you could have any three guests, past or present, to dinner who would they be? > My grandmother, my father and Snoop Dog. What animal would you most like to be? > I hope one day to be human.